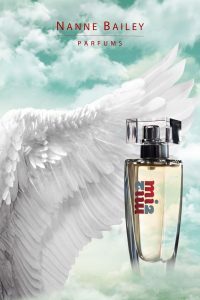 Is it that the perfume mi2 inspires you to find out more about angels? Is it that you like angels and they evoke good feelings in you? Do angels really exist or are they just fantasy, images, a myth? Well, simply let me tell you about my own experiences. I’ll write you an excerpt of what comes to my mind about the topic of angels. Angels elate your being! The development of mi2 is based on my own authentic and genuine experiences with angels. It expresses itself as the connecting bridge and the wish to give forward, endowed to me from above, outwardly unfolding! Even now, we are all being guided, if consciously or unconsciously. Heavenly forces can attend us and show us the way quite by surprise or on purpose. 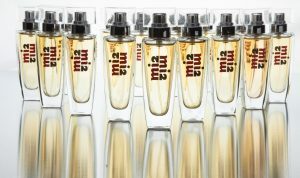 Other than the heavenly fragrance itself that it diffuses, mi2 is my contribution to inspiration for rediscovering the exchange with celestial forces and experiencing how the awakened angel powers can bring transformation to life! Awaken the good within you! Angels prove themselves especially helpful to whoever simply opens up to them in order to create positive impact. Be it for themselves in all areas of life or be it in compassionate action for others. The angels look forward to this moment of first encounter, engagement or appeal. Anyone can receive their grace. You too! They are powerful forces of impact, perfect energy fields, messengers from a higher level, who communicate with humans. They appear in many facets, present themselves in all imaginable forms of creation in any kind of manner. They transform old limiting patterns, they are uplifting, affect healing, provide wisdom and protection. Through conscious faith in their existence, they lead you to exactly the sources needed, towards instrumental people and into good circumstances. They are instructional for your transformation, they reconnect you with your heart and let it become free and wide. They are effective in so many ways; they encourage your development and well-being, help you to release old limiting patterns in difficult situations and are invested in creating peaceful intentions, freedom, love and new positive ways of thinking, acting and feeling within you. This all will reflect back and positively affect all aspects of your life. They support you to take on self-responsibility, to do inner work. View the angels, the heavenly beings, as the loving outstretched arm of the Creator. He is the creator of the angels. You can be sure! Angels exist! They give you heartfelt hugs, send you love and come alive in your heart, too!